An Ode to Beth Chatto. I had actually started this post a number of weeks ago, planning to bank it for a future date when topics were low but a blog post full of beautiful pictures would fill the void. With news of her passing, it felt right to push this post to the top of the list. My first non-Gardener’s World related mentor (totally one sided, she doesn’t know I exist!) was Beth Chatto. Her gravel gardens are the guidepost and measuring stick I strive towards. 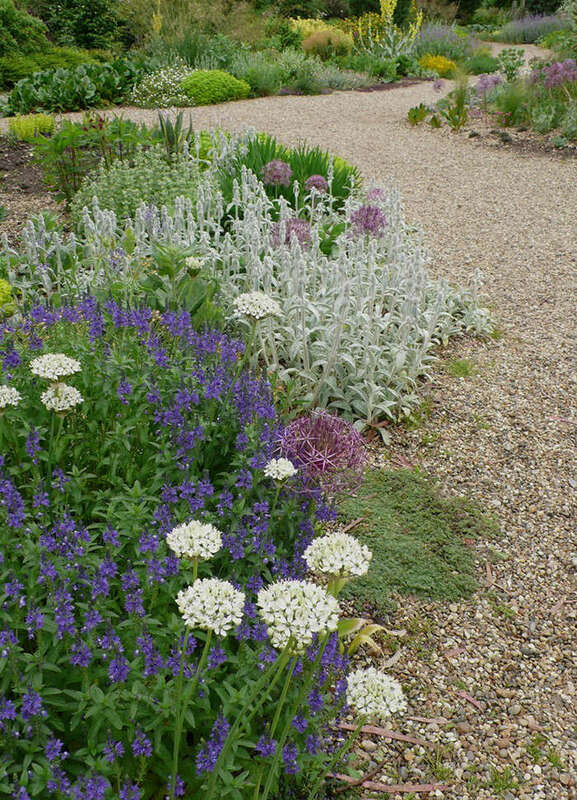 It is a lofty goal as she is preeminent plantswoman and her garden designs are uniquely her own. But I found her early on and she continued to be a resource, an inspiration, and a mentor. I suspect she will for all of my gardening life. Years ago, as I was trying to figure out how to grow anything beautiful in acres of sandy, sunny ground. 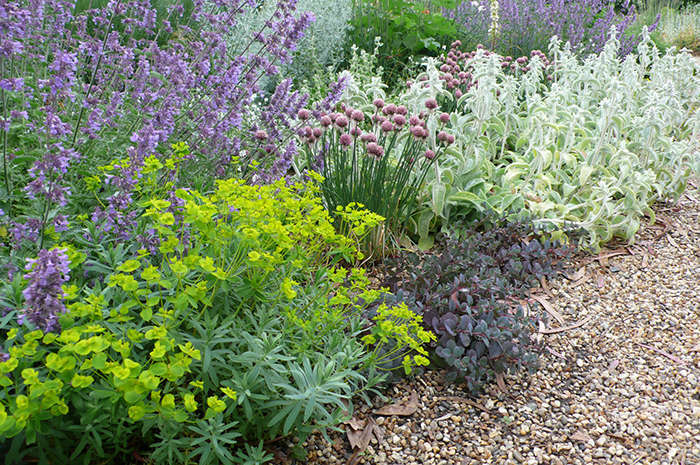 All I could find stateside was Xeric gardens designed for the Southwest and much warmer, drier climates than ours. 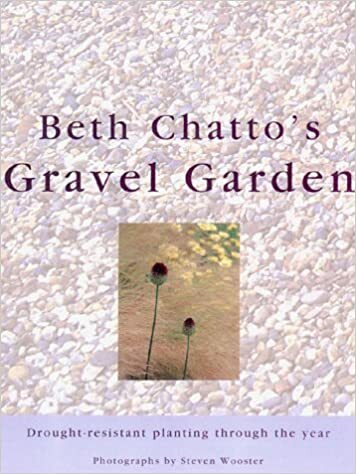 Amazon, though, led me to Beth via her book about her Gravel Gardens. I bought the book and one look through it… well, I was smitten. THAT was the kind of garden I wanted to be able to make. Beth Chatto became my teacher and guidepost as we first started pulling up sod and drawing out beds. I annotated my copy, making plant lists in the margins and noting what would work with our temperature and location. I traveled with that book. I carried it with me to appointments and curled up with it on the couch during long winter nights. Beth Chatto gave me permission to garden the way I always wanted to- with thoughtful planning and research, a firm hand, and little sentimentality. Smart choices were made when choosing plants and those same plants were only given a good planting in and a hearty dose of water, then they were on their own. I’ve treated every plant in my garden that same way and I’ve been blessed with success (mostly). Beth Chatto’s spirit and groundbreaking ideas will live on in her spectacular gardens and through the many gardeners she inspired. 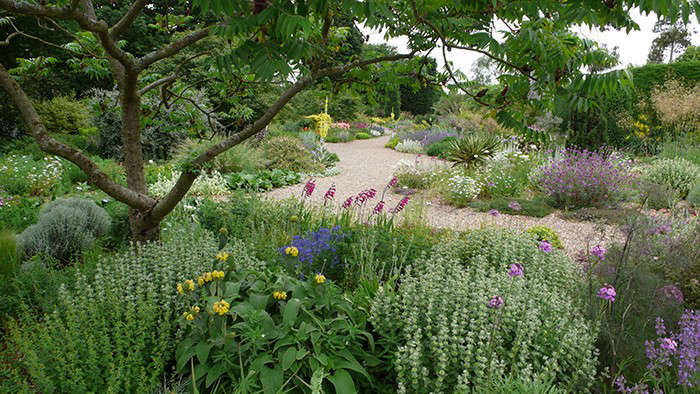 Oh so sorry to hear of Beth Chatto’s passing. She was such a nice person, in addition to her horticultural talents. I visited her gardens twice and will always remember her gentleness and kindness, and her small smile when I gushed over the circle of cyclamens in glorious bloom under a tree…like “no big deal.” Her book, Green Tapestries is one of my favorites.